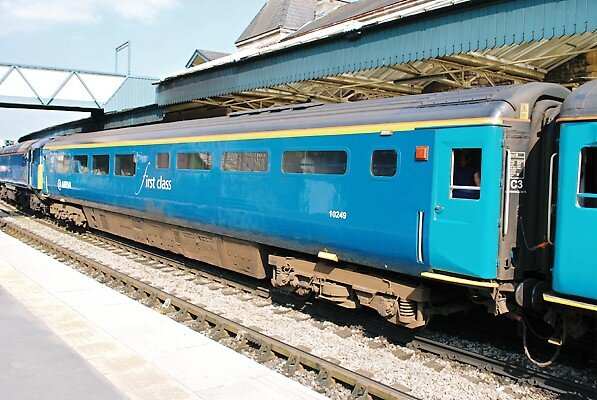 Arriva Trains Wales (Welsh: Trenau Arriva Cymru) is a train operating company, owned by Arriva, that operates passenger services in Wales and the Welsh Marches. Its busiest stations are Cardiff Central, Cardiff Queen Street and Newport. Other stations on there main line include: Shrewsbury, Crewe, Chester and Wrexham General. The company operates the Wales and Border railway franchise from the company of the same name in December 2003. They have made direct services between North and South Wales, and the reintroduction of passenger services on freight-only portions of the Vale of Glamorgan Line and Ebbw Vale Line. It operates on a gauge of 1435 mm, over a route length: 1691 km, with 253 DMU cars and 22 passenger coaches. Arriva Trains Wales Facts for Kids. Kiddle Encyclopedia.